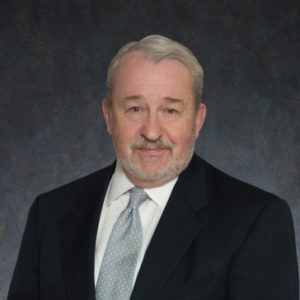 Jim Hoecker has practiced energy law in Washington D.C. for 35 years, both in government and private law practice. Prior to rejoining private practice, he was appointed by President Clinton to be Chairman of the Federal Energy Regulatory Commission, from 1997-2001 and, before that he was a FERC Commissioner for four years and an Assistant General Counsel in the 1980s. Hoecker is now Senior Counsel at Husch Blackwell LLP in Washington, D.C., and Principal of Hoecker Energy Law & Policy PLLC (HELP), a law and public policy consulting firm. Hoecker provides legal and strategic advice principally to electric utilities, investors, and transmission developers and providers. He is a long-time advocate for robust energy infrastructure and competitive wholesale electric and natural gas markets. His current clients include WIRES, an international non-profit trade association that promotes well-planned and environmentally responsible electric transmission investment. Hoecker holds a J.D. from the University of Wisconsin, a M.A. and Ph.D. from the University of Kentucky and a B.A. from Northland College. Besides his active law and policy practice, he manages to write regularly and serve on several non-profit Boards. A native of Wisconsin, Hoecker now resides in Northern Virginia.